I went straight to Traders Hotel right after I visited Ocean Park Manila. 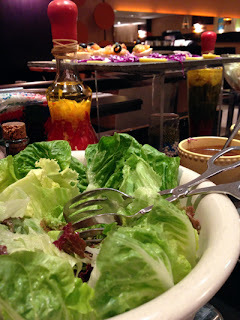 I initially didn’t plan to eat there that night because my tummy was acting up when I woke up. But after the Ocean Park visit, I was tired and hungry! It’s a good thing that Metrodeal vouchers can be printed anywhere. Once I got my vouchers, I called Traders to reserve a table for two. We arrived at Traders with our MetroDeal vouchers around 7:30 pm. We headed directly to Latitude and the restaurant hostess checked my reservation. I gave her my vouchers and I only had to sign and give my contact details. She then guided us to our table and we got our free drinks. 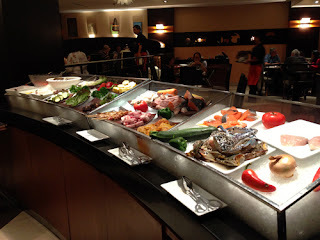 The place was not crowded at all unlike other buffet places such as Buffet 101 or Vikings. It was so refreshing not to bump into other people while getting food on my plate. There’s lot of elbow room making it a comfortable for people dining there. To add to that, the servers were nice, efficient and non-intrusive, as expected with deals offered at MetroDeal. 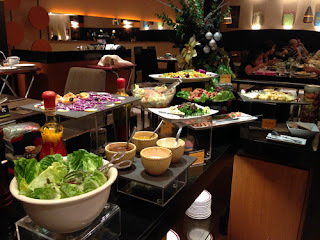 The buffet is not really that big. 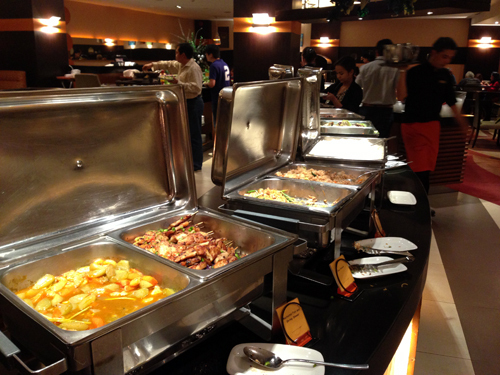 The buffet is separated into several sections - soups, fruits, desserts, salad and food for grilling. In the middle, you will see the different viands of food plus rice. Right behind that, you will see the pork and beef roast as well as some Mexican food. Never mind the size of the buffet since the food is delicious! 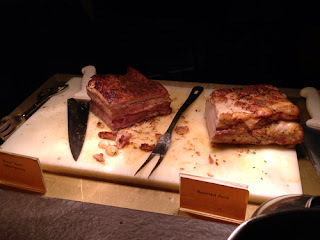 Since I was extremely hungry, I got barbecue baby back pork ribs and braised pork belly first. Mama Mia! Both were so yummy. I wanted to eat more but there were so many dishes that needed my attention. I tried a lot of food – Singaporean chicken barbecue, grilled shrimps, pork and roast beef, kare-kare, shrimp siomai, tacos and pasta. I can truly say that I enjoyed everything. The desserts that I tried were so great that I almost forgot that I was eating at a buffet. Oh, I loved their crème brulee! It’s actually my absolute favorite dessert. I wanted to have another serving but sadly they didn’t refill. I had to content myself with their pudding (which was absolutely amazing by the way). I will never get tired of eating at buffets. I guess as long as I don’t do it excessively since I know that too much of anything is bad. 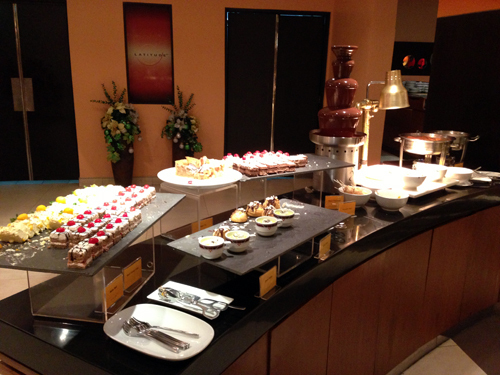 Thanks to Metrodeal, I get to try different hotel buffets. 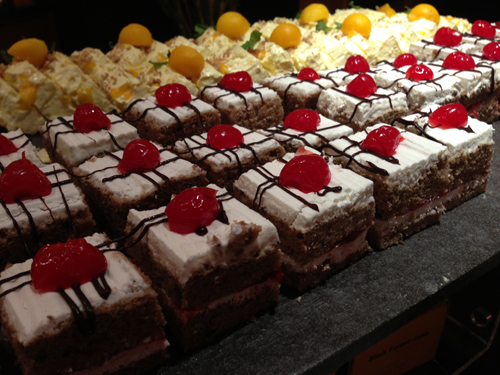 You can try these hotel buffets too. Cheers to living a good life!